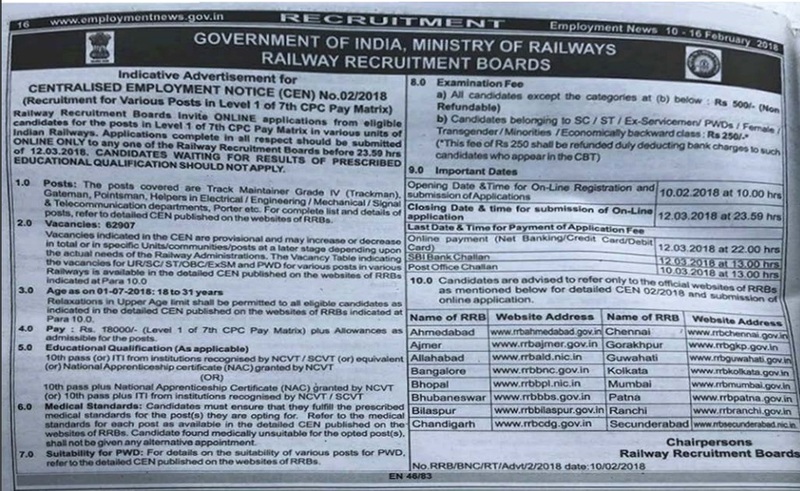 RRB Recruitment 2018-2019 Application Form for 64371 Trackman, Gateman, Pointsman, Helpers in Electrical Engineering, Mechanical Engineering, Signal & Telecommunication Engineering Posts Apply Online through Official website www.indianrailways.gov.in. Railway Recruitment Boards The last date for submission of Online applications is 01.10.2018 (23. 59 hrs). 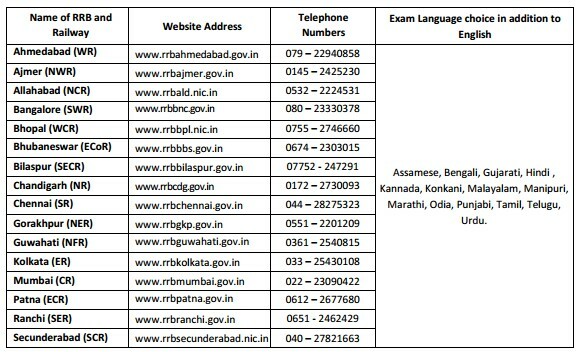 Candidates will have to apply before carefully reading the advertisement regarding the process of examinations and interview, eligibility criteria, Offline registration processes, payment of prescribed application fee/intimation charges, 64371 RRB Group-D Recruitment Notification 2018, RRB pattern of examination, RRB Syllabus, Question Paper, Admit Date Release Date, Exam Date, Result Date etc. the stipulated criteria before Applying Online. 1. Opening Date & Time for submission of Preference Details 22-09-2018 at 11.00 hrs. 2. Closing Date & Time for submission of Preference Details 01-10-2018 at 23.59 hrs. 5. ONLINE fee payment through internet banking or debit/credit cards upto 30/03/2018 till 23.59 hrs. (ii) Post Office Challan Payment Mode closes on 27/03/2018 at 15.00 hrs in any branch of computerized Post Offices.